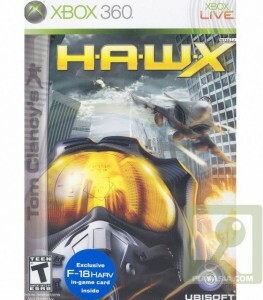 This Weekly Special on Play-Asia.com is Tom Clancy’s H.A.W.X. for Xbox 360 at US$ 24.90. The game is region free. For many years, state-sponsored militaries have struggled to maintain and modernize their forces. Increasing budget restrictions and difficulties in recruiting skilled personnel have led many countries to seek other solutions. More and more nations now rely increasingly on Private Military Companies (PMC) – elite mercenary groups staffed with equally elite personnel – to support their field operations. With each passing year, the PMCs expand their influence and scope of activity. Initially just consultants, they are now involved in surveillance, logistics, site security, and other essential roles. In order to keep the war machine going most of the PMC warranted firms dealing with other sources of income such as mining, oil extraction, airliners, goods manufacturing etc. Ensuring a steady flow of currency allowed these companies to operate a tighter game against their opposition. Each year, they come closer to serving as fully operational field units, and their services are so widely used they’re already essential. Pandora’s Box has been opened. There’s no getting rid of the PMCs now. E.R.S. is in-game technology that helps turn novice aviators into elite pilots of the future. The Enhanced Reality System is the core of the HAWX flight experience: aircraft interception trajectories, incoming missile detection, anti-crash system, damage assessment, tactical map, and weapons trajectory control. E.R.S. also allows players to issue orders to their squadron and other units, making this system as iconic to HAWX as the Cross-Com system is to Tom Clancy’s Ghost Recon Advanced Warfighter®!